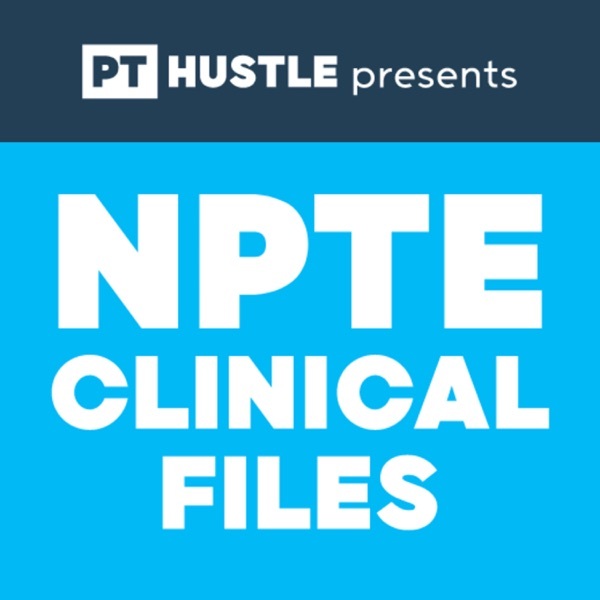 NPTE Clinical Files is a podcast from the creator of Dominating the NPTE, hosted by Kyle Rice. NPTE Clinical Files explains a true clinical scenario in the form of a mock NPTE-based question. Each question is followed by a set of answer choices, where Dr. Kyle Rice explains the right answer with a detailed rationale. Each season covers all of the major systems and topics found in physical therapy and likely to be found on an NPTE. NPTE Clinical Files gives the Physical Therapist a weekly opportunity to solve clinical puzzles while learning the latest research related to the topic. Eric recently had a cardiac transplant and has been cleared for exercise by his medical doctor. The physical therapist is challenged with determining the most appropriate means of measuring the patient's exercise intensity. How well do you know your exercise intensity measures and why you should use one over another? Let's test your knowledge in this excellent episode about Exercise Intensity Measures. Did you get this question wrong?! If you were stuck between two answers and selected the wrong one, then you need to visit www.DestroytheNPTE.com, to learn about the #1 solution to STOP getting stuck. Vicky is being seen in the hospital for a severe bacterial infection. Prior to today's treatment, the therapist is reviewing the patient's medical record. The physical therapist is challenged with reviewing a medical chart and interpreting the available lab values. How well do you know your lab values? Let's test your knowledge in this excellent episode about Lab Values. Pearl presents with persistent right shoulder pain without a known cause. The physical therapist is challenged with determining the most likely reason for the patient's complaints. How well do you know your visceral diagnoses and referral patterns? Let's test your knowledge in this excellent episode about Visceral Pain. Ross presents with a transtibial amputation and a significant gait deviation during initial contact to loading response. The physical therapist is challenged with determining why the observed gait deviation is present. How well do you know your prosthetic gait deviations? Let's test your knowledge in this excellent episode about Amputee Pathological Gait. Derek presents with a TBI and is being instructed on wheelchair to bed transfers for the first time. The physical therapist is challenged with determining which type of practice regimen is going to be the best to establish safe and independent wheelchair to bed transfers. How well do you know your stages of motor learning and which practice forms to use? Let's test your knowledge in this excellent episode about motor stages and practice. Miles presents with a past medical history of diabetes type II and obesity. How well do you know the trans-theoretical model? Let's test your knowledge in this excellent episode about behavioral change. Harriet presents with status post-TKA and is undergoing stair training with the physical therapist. The physical therapist is challenged with determining the appropriate instructions for descending stairs with a cane. How well do you know safe stair negotiation techniques? Let's test your knowledge in this excellent episode about stair training. Ricky presents with a past medical history of atrial fibrillation, orthostatic hypotension, and chronic renal failure. The physical therapist is challenged with determining which aspect of the exercise prescription is the least appropriate for this patient while undergoing hemodialysis. Kerri presents with significant pelvic girdle pain with ambulation. The patient is found to have a notable innominate rotation during the examination. The physical therapist is challenged with determining the BEST intervention to address the pelvic mal-alignment. How well do you know innominate rotations? Can you treat one effectively? Let's test your ability in this excellent episode about pelvic mal-alignment. Jimmy is a three-year-old child with L2 myelomeningocele. The patient requires the use of orthotics for home ambulation. The physical therapist is challenged with determining which orthotic would be the best to assist with household ambulation. Samuel is a basketball star who injured his right knee after he pivoted on his right foot. The patient reports pain immediately afterward and has been complaining of additional symptoms since the incident. The physical therapist is challenged with differentially diagnosing the patient's right knee pain. How well do you know your knee injuries? Can you differentially diagnose this common type of injury? Let's test your ability in this excellent episode about knee injuries. Heather has a past medical history of hypothyroidism and is being treated for deconditioning. The patient reports that she is not taking her medications and would like to stop exercising. The physical therapist is challenged with determining the correct and the best course of action to remedy this situation. How well can you handle difficulty patient compliance situations? Let's test your ability in this excellent episode about patient compliance. Taylor is attending her first follow-up appointment for right calcific tendinitis. A PTA is treating the patient and needs to make an appropriate decision about following an unspecified directive in the plan of care. The physical therapist is challenged with determining what is the responsibility and appropriate decision making of a PTA under general supervision. How well do you know what is in the PTA's scope of practice? Let's test your understanding in this excellent episode about PTA Professional Responsibility. Brenda is a physical therapist looking to utilize the correct outcome measure to assess a patient's improvements and current ability related to ADL's. The physical therapist is challenged with determining the correct and MOST appropriate outcome measure to utilize with a patient who has a CVA. How well do you know your outcome measures? Let's test your understanding in this excellent episode about outcome measures. Kelli presents with spastic cerebral palsy and plantarflexor spasticity. The physical therapist is challenged with determining the correct AFO to utilize with the current patient. Collin presents difficulty grasping objects and impaired sensation in his hands. The physical therapist is challenged with determining which sensations will be impaired if the patient is unable to detect light (fine) touch. How well do you know your sensations and spinal tracts? Let's test your understanding in this excellent episode about testing sensation. Maurice presents with non-specific lower back pain that has been responding favorably to mechanical traction. The physical therapist is challenged with determining the appropriate response to lumbar traction and determining the proper traction parameters to support a safe resolution of the patient's symptoms. How well do you know mechanical traction and the associated parameters? Let's test your understanding in this excellent episode about lumbar mechanical traction. Francine presents with a history of falls and suspected blurred vision. The patient's past medical history is remarkable for several other significant conditions. The physical therapist is challenged with determining which medication is the most likely contributor to the patient's falls and symptomology. How well do you know your NPTE medications and their side effects? Let's test your understanding in this excellent episode about falls and medications. Monte presents with a recent MCA stroke and upper extremity spasticity. The patient demonstrates movement out of synergy, however, is having difficulty completing functional patterns. The physical therapist is challenged with determining which intervention (PNF) is the MOST effective to treat the patient's condition. Haddie is a child who would like to try out for gymnastics. During her physical screening, she is found to have some spinal/trunk abnormalities. The physical therapist is challenged with determining what is the MOST likely cause of the patient's observed spinal abnormality. How well can you pick out specific postural/spinal related dysfunctions in the pediatric population? Let's test your understanding in this excellent episode about spinal observation. Nate is a physical therapist evaluating a patient in the acute care setting. The patient is found to have some cardiac arrhythmias on their EKG prior to exercise. The physical therapist is challenged with determining the importance of the several accompanying co-morbidities while interpreting the available EKG strip. How well can you read an EKG strip? Let's test your ability to read, interpret, and make a sound decision in this excellent episode about EKG reading. Saphie is being seen post-MVA for neck and mid-thoracic pain. The patient has a history of primary hyperparathyroidism. The physical therapist is challenged with determining what precautions are the MOST important when treating this patient. How well do you understand the proper treatment of patients with musculoskeletal conditions and co-morbidities? Let's test your understanding in this excellent episode about primary hyperparathyroidism. Bobby is a carpenter who presents with paresthesias into his right hand and forearm. The physical therapist is challenged with determining the condition that is present and the interventions required to treat the condition. How well do you understand neuromusculoskeletal disorders? Let's test your understanding in this excellent episode about postural dysfunction. Jax is being seen for a C7 ASIA B SCI. The patient has been participating in physical therapy for 2 months but continues to have functional limitations. The physical therapist is challenged with determining the highest level of function the patient MOST expected to achieve. How well do you understand SCI functional outcomes? Let's test your understanding in this excellent episode about SCI functional outcomes. Nadine assesses her patient's knee flexion strength in both the sitting and standing positions. The therapist finds that the patient has diminished end range knee flexion strength in standing. The physical therapist is challenged with determining which is most likely reason for the diminished knee flexion strength. How well do you understand the concept of active and passive insufficiency? Let's test your understanding in this excellent episode about active and passive insufficiency. Gary presents with acute inflammatory demyelinating polyneuropathy (AIDP) that is affecting his trunk and extremities. The physical therapist is challenged with determining which pulmonary examination findings are consistent with AIDP. How well do you understand pulmonary function tests? Let's test your knowledge in this excellent episode about Lung Volumes & PFT's. Bernard presents to the hospital with an acute exacerbation of his congestive heart failure. The patient presents with several CNS-based signs and symptoms. The physical therapist is challenged with determining the cause of the clinical presentation. How well do you understand how electrolytes influence body physiology? Let's test your knowledge in this excellent episode about electrolyte dysfunction. Curtis presents to a balance center for balance testing using the CTSIB protocol. The patient is found to become unstable during multiple conditions. The physical therapist is challenged with determining which of the patient's sensory system's are intact and used for balance. How well do you understand the CTSIB protocol? Let's test your knowledge and deduction skills in this excellent episode about CTSIB. Yael presents to physical therapy for a right femoral neck fracture. During gait, the patient demonstrates a diminished right backward rotation of the pelvis. The physical therapist is challenged with determining which additional examination findings will be expected given this impairment. How good are you at tough gait questions? Let's test your ability in this excellent episode about gait dysfunction. Tim presents to physical therapy for functional decline and poor blood sugar control. The patient has multiple pressure ulcers but is unable to sense their presence. The physical therapist is challenged with determining which type of monofilament would confirm the patient's sensory impairment. How well do you know your monofilaments? Let's test your knowledge in this excellent episode about diminished sensation. Jullian presents to cardiac rehabilitation phase II with a positive symptom-limited test. The physical therapist wants to initiate aerobic exercise training without overstressing the heart. The physical therapist is challenged with determining which form of exercise places the greatest stress on the heart. How well do you know your cardiac physiology? Let's test your knowledge in this excellent episode about cardiac & exercise physiology. Erica presents with significant lower extremity extensor tone and a history of frequent and characteristic bouts of fatigue, paresthesias, and dysarthria. The physical therapist is challenged with determining the diagnosis present and the appropriate intervention to treat the patient's primary impairment. How good are you at the differential diagnosis of neurological conditions? Let's test your ability in this excellent episode about lower extremity extensor tone. Annie is being treated in the inpatient setting status post a right pelvic fracture. The patient is severely obese and is currently having difficulty propelling herself in her wheelchair. The physical therapist is challenged with determining which wheelchair modifications are required to help the patient improve her propulsion and energy conservation. Do you know the difference between the standard and bariatric wheelchair? Let's test your knowledge in this excellent episode about Bariatric Wheelchair Prescription. Geraldo presents to physical therapy with an ASIA A L3 SCI. The patient is being discharged and needs education about effective bladder management. The physical therapist is challenged with determining the type of bladder impairment present and which technique would best help the patient void. Do you know effective bladder management techniques? Let's test your knowledge in this excellent episode about bladder management. Lincoln presents to physical therapy with ASIA C L2 SCI. The patient has poor quad contraction. The physical therapist is challenged with the appropriate biofeedback set-up to help facilitate quad contraction. Do you know how to use a biofeedback unit? Let's test your knowledge in this excellent episode about biofeedback. Carly is being evaluated by physical therapy post transverse humeral mid-shaft fracture. The patient does present with possible neurological compromise. The physical therapist is challenged with determining the presence of neurological compromise and associated musculoskeletal findings. How well do you know your origins, insertions, actions, and innervations? Let's test your knowledge in this excellent episode about a transverse humeral mid-shaft fracture. Davis presents with CHF and is undergoing a 6-minute walk test. The patient's HR, SPO2, and blood pressure are all being monitored to ensure patient safety. The physical therapist is challenged with understanding the indications of abnormal changes in vitals with exercise. How well do you know your exercise physiology? Let's test your knowledge in this excellent episode about the cardiovascular response to exercise. Rodney underwent a right transtibial amputation and is being fitted for a patellar-tendon bearing socket. The physical therapist is challenged with understanding the design of the patellar-tendon bearing socket, pressure-tolerant areas, and pressure-sensitive areas. How well do you know your socket designs? Let's test your knowledge in this excellent episode about the patellar-tendon bearing socket! Nate was referred to physical therapy for a closed injury after a traumatic hyperflexion of his right index DIP. The physical therapist is challenged with determining the appropriate timeframe for mobilizing the affected tendon. How well do you know your orthopedic non-surgical protocols? Let's test your knowledge in this excellent episode about DIP hyperflexion injuries. Aaraelia is an 8 month old infant who presents to physical therapy with shoulder abduction and elbow extension when she rotates her head to the same side. The physical therapist is challenged with determining the patient's developmental age and which milestones the patient will have difficulty achieving because of the obligatory reflex. How well do you know your developmental milestones? Let's test your knowledge in this excellent episode about developmental milestones. Are you in the free facebook group called, #smartnpteprep? Get access to test-taking strategies, live discussions, question & answers, and the most effective study tips. Yari is a clinical instructor overseeing her student's assessment of a patient's vitals. The physical therapist is challenged with determining how the student's assessment can impact the results. Do you know the physiological response of cardiopulmonary system to increased pressure in the arterial system? We will uncover the answer in this excellent episode about assessing vitals. Kelley presents with a history of progressive shoulder pain over the past four weeks with a progressive limitation in her shoulder mobility. The physical therapist is challenged with differentially diagnosing the current condition and determining the best intervention choice. Do you know how to determine the direction of a mobilization? We will test your skill in this excellent episode about GH joint mobilizations. Victoria is a 3-year-old child who presents to physical therapy for severe toe walking. The physical therapist is challenged with determining the most effective approach to treating the patient's toe walking. Do you the most effective treatments for toe walking in patient's with cerebral palsy? We will uncover the answer in this excellent episode about treating a patient with toe walking. Liam presents to physical therapy with a 4-year history of Amyotrophic Lateral Sclerosis. The patient's caregiver reports that the patient is having trouble speaking and often cries uncontrollably. The physical therapist is challenged with anticipating what examination findings would be present with a patient who has ALS. How well do you know your cranial nerves? Let's test your knowledge in this excellent episode about ALS. Andrea is researching the effects of a grade IV mobilization on shoulder abduction mobility in subjects with non-specific shoulder pain. The physical therapist is challenged with determining which type of test should be run on the data collected in the study. Do you know the differences between a T-Test and an ANOVA? We will uncover the answer in this excellent episode about statistical hypothesis testing. Fred is being evaluated by his physician to determine the reason for his chest pain. The patient is undergoing an exercise tolerance test. The physical therapist is challenged with determining why Fred's exercise tolerance test was terminated. Do you know the relative and absolute indications for termination of an exercise tolerance test? We will uncover the answer in this excellent episode about understanding the exercise tolerance test. Brandon is being evaluated in physical therapy for his posterior knee pain. The patient gait assessment reveals a rapid knee hyperextension during the early stages of gait. The physical therapist is challenged with determining the most likely reason for the observed gait deviation while predicting which other motions would be present. Do you know the primary cause of rapid knee hyperextension during the stance phase? We will uncover the answer in this excellent episode about extensor thrust. Susan is a 67-year-old female who is being treated for significant balance deficits. The treating therapist is challenging Susan today by having her reach out of her base of support. The physical therapist is challenged with determining which type of motor training the patient is currently engaging in. Do you know the differences between skill, mobility, controlled mobility and stability based exercises? We will uncover the answer today in this excellent episode about balance interventions. Freddy is being treated for a stage IV decubitus ulcer that is dry and infected. The therapist is challenged with determining which dressing would be the most effective for this wound type. Do you know which dressings should be considered when an infection is present? We will uncover all of it in this excellent episode about [prescribing dressings for a decubitus ulcer. Helen is currently in physical therapy and is being instructed on how to perform stair climbing given her previous CVA. The physical therapist is challenged with understanding the type of feedback would be the best to facilitate her proper performance of the motor task. Do you know which types of feedback are best in the early stages of learning? Drew presents to physical therapy with a history of stable angina pectoris, however, has been cleared for exercise. The therapist is challenged with determining the factors that affect the workload of the heart. Do you know the factors that affect the workload of the heart? We will uncover all of it in this excellent episode about assessing myocardial ischemia. Are you in the free facebook group called, #smartnpteprep? Sonia presents to physical therapy post-MVA a T10 spinal cord injury. She has been using a wheelchair for her primary mode of transportation and now has bilateral hip pain. The physical therapist is challenged with prescribing the correct wheelchair changes in order to reduce hip pain. Do you know standard wheelchair measurements? We will uncover all of it in this excellent episode about standard wheelchair measurements. Keven presents to physical therapy with an MCL sprain that he suffered during a basketball game. The physical therapist is challenged with understanding joint biomechanics during a full squat. Can you recall and apply knee biomechanics to a clinical case? We will uncover how in this excellent episode about assessing joint biomechanics. Jessie presents to physical therapy with right-sided jaw pain and a long history of clicking during mouth opening. The physical therapist is challenged with correlating subjective information with a physical assessment to determine the patient's diagnosis. Do you know the difference between disc displacement and capsular fibrosis? We will uncover all of it in this excellent episode about diagnosing TMJ dysfunction. James is being seen in the acute care setting for community-acquired pneumonia. The patient has several lab values that the therapist must assess to determine appropriateness for PT services. Do you know normal lab values, critical levels, and when it is appropriate to treat your patient? We will uncover all of it in this excellent episode about assessing lab values. Xavier presents with excruciating lower back pain secondary to a lifting accident at work. The patient's MRI confirms a lumbar HNP at L4-L5. The physical therapist is challenged with determining what findings are consistent with the patient's diagnosis. Do you know the most common examination findings of a patient with an L4-L5 HNP? We will uncover all of it in this excellent episode about Lumbar Herniated Discs. Pam has a history of a middle cerebral artery stroke and is currently having difficulty combing her hair. Despite multiple teaching strategies, the patient she continues to show no improvement. The physical therapist is challenged with uncovering the specific phenomenon that is present. Do you know the differences between signs of aphasia and apraxia? We will uncover all of it in this excellent episode about middle cerebral artery strokes. Trevor is a 19 year old male who suffered a TBI after a tragic diving incident at the pool. The therapist has categorized the patient as having a level IV on the RLA scale. The physical therapist is challenged with understanding factors that can increase the patient's level of confusion. We will learn how to treat a level IV TBI without increasing their level of confusion in this excellent episode about traumatic brain injuries. Get access to test-taking strategies, live discussions, question & answers, and the most effective study tips. Come on in and join us! Eddie is a 71-year-old male who presents with significant leg pain after ambulating greater than 5 minutes. The patient reports that the symptoms are getting progressively worse over time. The physical therapist is challenged with correlating the findings of an ABI test and the subjective assessment. Do you know your ABI scale? We will uncover all of it in this excellent episode about claudication. Daniel is a 17 year old male who fell off a ladder fracturing his proximal tibia. The patient has severed his common peroneal nerve and is undergo EMG. The physical therapist is challenged with anticipating what readings will show up on the patient's EMG report. We will uncover the answer in this excellent episode about Electromyography. Janice presents to physical therapy with a past medical history consistent with diabetes mellitus type 2. The patient also has a resting blood glucose level of 275 mg/dl prior to today's treatment. The physical therapist is challenged with understanding the correct exercise protocol and glucose monitoring procedures with a patient who presents with hyperglycemia. We will uncover the answer in this excellent episode about treating a patient diabetes mellitus type 2. Angela presents to physical therapy with a 5-year history of intermittent flare-ups of her hip and knee joints bilaterally. Angela has a history of joint stiffness and unexplained weight loss. The physical therapist is challenged with diagnosing the correct condition utilizing a subjective assessment. We will uncover the answer in this excellent episode about adolescent lower extremity pain. Drew presents to physical therapy with complaints of plantar surface foot pain. The patient states the symptoms are progressive and have a burning and tingling type sensation. The physical therapist is challenged with identifying the correct condition based on the subjective assessment and confirming the condition with the correct examination tools. We will uncover the answer in this excellent episode about diagnosing plantar foot pain. Shelley presents to physical therapy with complaints of deconditioning and shortness of breath. She has a history consistent with CF and the therapist would like to select the most appropriate interventions to treat her impairments. The physical therapist is challenged with selecting the correct interventions to mobilize the patient's secretions. Isabelle presents to physical therapy with a history of cerebral palsy and a developmental age of 8 months. The physical therapist is challenged with determining which activity the child will not be able to perform given her developmental age. Do you know your developmental milestone? When should a child be able to sit independently and rotate their trunk? We will uncover the answer in this excellent episode about cerebral palsy and developmental milestones. Michael presents to physical therapy with complaints of severe right shoulder pain. The treating therapist has diagnosed him with bicipital tendinitis. The physical therapist is challenged with utilizing the correct medication and setup for iontophoresis. Do you know the correct setup for iontophoresis? We will uncover the answer in this excellent episode about iontophoresis. Cindy is seen in the acute care setting for bacterial meningitis. The treating therapist is concerned about the transmission of her illness to other patients. The physical therapist is challenged with selecting and adhering to the correct infection control guidelines. Do you know the difference between airborne, droplet, contact and standard infection control precautions? Which one would you use for bacterial meningitis? We will uncover the answer in this excellent episode about selecting appropriate infection control guidelines. Robert is 6 days status post-acute myocardial infarction and is currently being seen in cardiac rehabilitation phase 1. The physical therapist is challenged with prescribing the correct exercise intensity to ensure safety during this phase of rehabilitation. Do you know the exercise intensity recommendations for a patient post-acute myocardial infarction? We will uncover the answer in this excellent episode about exercise prescription for a patient status post acute MI. Jason has a recent onset of a lateral ankle sprain. He is being treated in the outpatient physical therapy clinic with therapeutic ultrasound. The physical therapist is challenged with determining the cause of the patient's pain underneath the sound head. Do you know what ultrasound parameters can lead to pain underneath the ultrasound head? We will uncover the answer in this excellent episode about treating an acute lateral ankle sprain. Annie has a history of a right radical mastectomy with axillary node dissection. She presents today with secondary lymphedema with a negative stemmer's sign, but her lymphedema no longer improves with elevation. The physical therapist is challenged with determining the current stage of the lymphedema and selecting the best combination of interventions to reduce Annie's edema. Do you know what research states about the best interventions to treat lymphedema? We will uncover the answer in this excellent episode about treating lymphedema. Michael is treated in the acute care setting for confusion, restlessness, and blurred vision. The patient presents with impaired arterial blood gases. The physical therapist is challenged with recognizing signs and symptoms related to arterial blood gas dysfunction and determining the specific type of condition present. Do you know your arterial blood gas values? What is normal and what isn't? The answer is what we will uncover in this excellent episode based on examining arterial blood gases. The physical therapist is challenged with recognizing signs an symptoms related to a specific low back condition and determining the approach steps to treating the condition. Do you know the most effective interventions to resolve lower back pain? This is what we will uncover in this excellent episode based on treating a patient with low back pain. John is a 56-year-old male who had an anterior cerebral artery stroke. The physical therapist is challenged with determining the specific Brunnstrom stage and the appropriate intervention to treat a patient in this stage. This is what we will uncover in this excellent episode based on treating a patient with an Anterior Cerebral Artery Stroke. Mary is a 32-year-old female who is 2 weeks postpartum and presents with a 2.25cm diastasis recti. The physical therapist is challenged with recalling the proper treatment strategy for a patient with DR and avoiding exercises that can increase the severity of the separation. Which intervention is the best to treat a 2.25cm diastasis recti? This is what we will uncover in this excellent episode based on treating a patient with Diastasis Recti. Shirley is a 48-year-old female who has a past medical history of hypothyroidism. She has non-pitting edema, dry skin, and poor peripheral circulation. The physical therapist is challenged with recalling the signs and symptoms consistent with hypothyroidism while using critical thinking to eliminate attractive answer choices. Which examination finding should we expect to find with our patient? This is what we will uncover in this excellent episode based on evaluating a patient with hypothyroidism. Darryl is a 59-year-old male who presents the physical therapy with Class III Congestive Heart Failure. He has arrived from the inpatient unit after a severe exacerbation of his CHF but he is cleared by his M.D. for exercise. The physical therapist is challenged with understanding the pathophysiology related to congestive heart failure as well as the New York Heart Association stages. This knowledge is required in order to make sound and safe judgments regarding exercise prescription. Should we send this patient back to the physician for medical clearance or treat him? This is what we will uncover in this excellent episode based on treating Class III congestive heart failure. David is an 11-year old male with a history of Duchene's Muscular Dystrophy (DMD). He is coming to physical therapy with complaints of difficulty with ADLs. The physical therapist is challenged with understanding the progression of this condition as well as the primary impairments in each stage. The physical therapist in this clinical scenario is creating a sound POC and will need to know what to focus on to provide the most significant impact on the patient's condition. Is David's primary impairment weakness or limitations in soft tissue mobility? This is what we will uncover in this excellent episode based on treating DMD. This first episode of The NPTE Clinical Files focuses on a patient named, Betty, who fell from her bed three weeks ago. Unfortunately, she sustained a closed proximal humeral fracture and is now presenting to physical therapy for rehabilitation. The physical therapist is challenged with determining the primary impairments in this stage of healing along with selecting a safe intervention to address this impairment. Are you familiar with the indications, precautions, and contraindications related to the treatment of a proximal humeral fracture? Listen to this podcast as Dr. Rice explains Betty's story and how physical therapy should be handled at three weeks out.